Transcoding is the process in which a Yumi can assist you with a portal, translating their code to the portal in order to locate the members of their tribe. Yumies form cultural associations with other Yumies based on the similarities of their genetic traits. Each Yumi tribe is interconnected with its members with 3 or more similar genetic traits. The genetic traits are what classify a Yumi as part of a particular sub-species (tribe). A Yumi's cultural hierarchy is networked with several tribes where a member of one tribe may also be a member of another tribe based on the combination of genetic traits, almost like a social network. In order to understand a Yumi's cultural association, you must pay attention to how they are genetically associated to each other. There are 6 levels in a Yumi's cultural hierarchy ranging from "Abundant" to an extremely rare "Artifacted". A Yumi is only genetically connected to tribe members in its own hierarchy or one level above. Transcoding ensures that you will locate and rescue a member of the Yumi's tribe, however solving the Cypher puzzle without transcoding may lead to a member of any tribe or hierarchy. To begin the transcoding process, touch the Core of the Bands of Cypher and select 'Transcode'. The Core will turn green meaning it is ready to contact a Yumi. Touch and hold the Yumi from which you wish to request transcoding. Select 'Transcode' from the Yumi's interaction menu. The Yumi must be within 10 meters of the Bands of Cypher. Once the Yumi successfully contacts the portal, it will ask you to balance the Cypher. 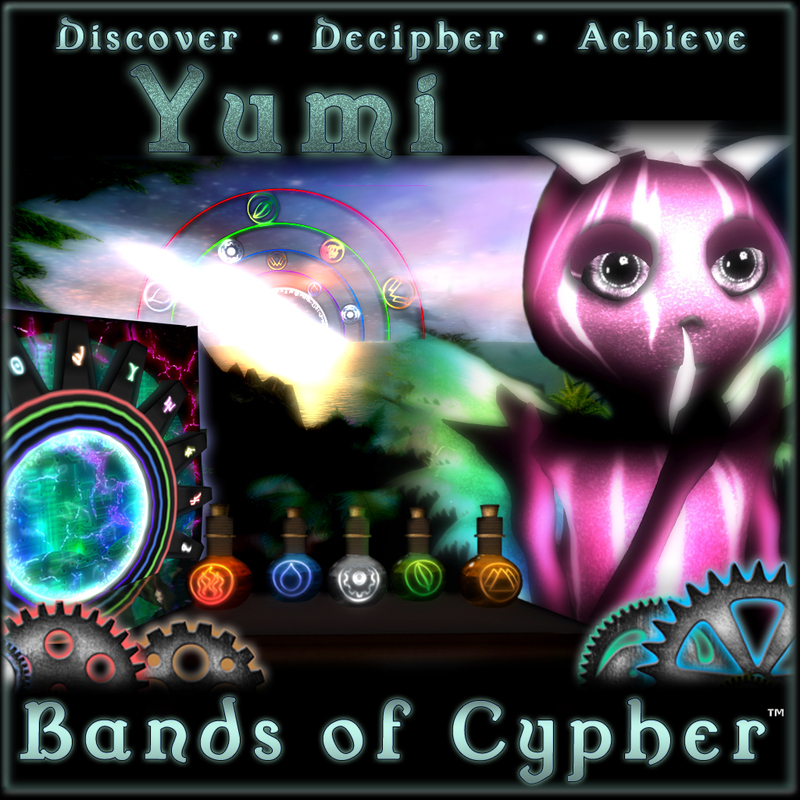 You can then solve the puzzle and upon successful balancing of the Cypher, a Yumi tribe member will appear in your dimension. When a Yumi transcodes a portal, you have 100% chance to get a Yumi from their tribe. In addition, the transcoding process requires 20-22 charges from the portal to complete. You can only transcode one Yumi at a time per portal. Attempting to transcode more than one will result in a failure of the transcode process. Once the Yumi has transcoded, its nether diminishes to 0% and must take crystal form to charge up the nether again. To discover the newer tribe hierarchies, namely Splendor, Abyss, Cosmic, Intrepids and Ancients there is a mechanism called the "Collective Transcode". To contact these species the ELE Portal requires a set number of Transcodes from current Yumies to power up and get ready to contact the higher hierarchies. Each Yumi depending on their tribe rarity contributes a set percentage of Nether towards the collective. Once the portal reaches 100% Nether Power, it can contact even rarer Tribes.